Evolutionary Genetics - gfgenetik1s Jimdo-Page! 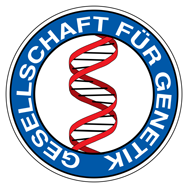 The GENE Study Group 'Evolutionary Genetics' of the Genetics Society bundles the activities in the areas of evolutionary genetics, population genetics and molecular evolution of GfG. What are the aims of the GENE Study Group Evolutionary Genetics? The GENE Study Group takes a broad scientific perspective that includes all fields of evolutionary genetics. These are, for example, theoretical evolutionary genetics (e.g. game theory), theoretical and empirical population genetics, quantitative genetics, molecular evolution, evolutionary genomics and evolutionary ecology. Besides basic research, evolutionary genetics has an increased importance for applied research areas such as biomedicine, plant and animal breeding, or applied microbiology. The emergence and spread of resistance to pesticides and antibiotics, the co-evolution of pathogens with their hosts or the area of 'personal genomics' in medicine are strongly influenced by evolutionary genetic processes. • Provide a forum for scientific exchange and facilitate the networking of researchers for scientific collaborations. A long-term goal is to strengthen the discipline both in teaching and research by young scientists will be encouraged through workshops and participation in scientific conferences. Prospects in the application of evolutionary genetics in the economy, ecology, agriculture and medicine should be developed. Finally, the GENE Study Group should serve as a contact for the society to controversial topics in the field of evolutionary genetics and to provide through sound professional advice through its members.